From dreamers to science-fiction aficionados, much of our culture has always been about images of the future. For them, the future of communication and commerce is all about visuals and nearly invisible devices that we can touch, manipulate, and generate with the tips of our fingers to control our day-to-day operations. In a way, they’re right. Steve Jobs and his crew certainly proved that with their “iTouch” technology, making the futuristic devices of James Bond movies or space operas a semi-reality. Today, you can use your touch screen pocket device to do almost anything, from watching a movie to tracking the stock market. It’s pretty incredible to see how technology has evolved, and it’s even more incredible to think about how those who dreamt of the future feel as they see their dreams played out in modern life. But there’s a secret to all of this. The modern world isn’t all images and streamed motion yet. As ironic as it sounds, success in today’s digital business world of flashy graphics depends entirely on your content. Your keywords, your phrases, your content—if the expected output of the future is all images, the foundation is and always has been the written word; and the content you create generates it all. This emphasis on words causes a lot of today’s business pros to shudder a bit. Bad memories of high-school literature class and composition homework can cause panic in people who don’t excel in those areas, and some may even worry that their livelihood will suffer a bit from this weakness. If this is the case for you, don’t worry; Numero Uno Web Solutions Inc. can help. As a top web marketing company in Toronto, Ontario, Canada, Numero Uno Web Solutions Inc. has become the go-to professional service for all of your online business content needs. We work alongside you to develop the right content for your business in online formats and make it strongly competitive on the Internet, bringing the business you need in today’s commercial world. By examining your business in-depth, Numero Uno Web Solutions Inc. can build your online content right from the ground up. We can show you what content is needed for your online presence and web pages, what language and keywords will make your business stand out, and how to optimize it all according to the Internet’s regimented business standards. It’s a methodical process that Numero Uno’s professionals have developed over time and take pride in when working with their clients. 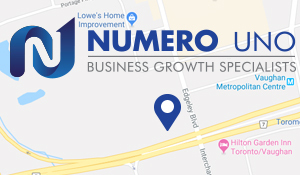 As a team of local Toronto SEO experts, Numero Uno also seeks to find all the online outlets available for your business’ created content to maximize its commercial potential. Our team of professionals not only knows how to create your content, but can also find where it should be strategically placed online. As an articles submissions company in Toronto, we scan all local and international digital forums for content, such articles, postings, blogs, and inter-linking areas, to expose your business to the right eyes on the Internet. There is no question that the Internet is complex, and it is often difficult to know where your business should appear on the World Wide Web. But Numero Uno Web Solutions Inc. does the research for you and can place your business content in the places that will bring you the most success possible. Whether you are a local business here in Toronto or a business from outside our area, Numero Uno is your content solution expert service. While other competitive content providers promise you the kingdom online, they turn out to be nothing shy of a “cheap SEO company Toronto” in search engine results. Numero Uno Web Solutions Inc. follows up with the modern maxim of “content is king” right to the royal throne. 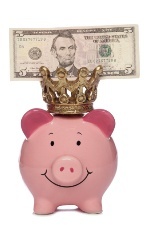 It’s our job to make your business the king of online business. Period.